243-1024 Bet Ways in Jungle Spirit Slots | Play now! Jungle Spirit is full of wild animals and even wilder wins! There’s a 96.47% RTP, FREE Spins, multipliers up to 50x and more! Login and spin today! Ever wondered what it was like to trek through the jungle? 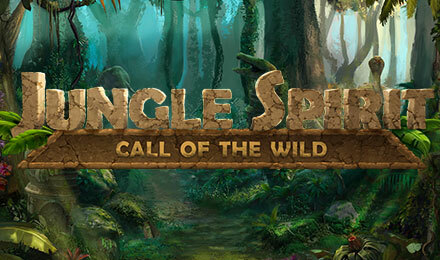 Well, now’s your chance, and you can win big along the way – all you have to do is spin Jungle Spirit: Call of the Wild Slots. It’s a 243 bet way game, which can be increased to 1024 during your FREE Spins Bonus! Said bonus will begin when 3 or more Scatters appear, and there’s also a Butterfly Boost with guaranteed wins and a Symbol Expansion feature.